Two years ago, Rachael Wotherspoon came up with her web series project named For Your Birthday. The story is about adult siblings of a dysfunctional family that are forced to come together in tradition at their mother's request and connect with each other as a family. We filmed the 4 episodes on a weekend in Rachael’s apartment in Beverly Hills with a team of 15 people, cast and crew. 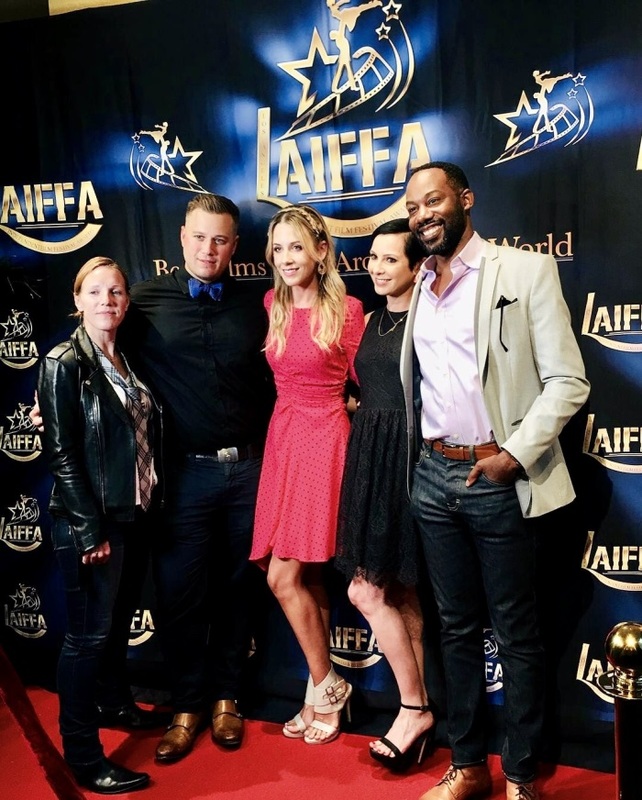 For Your Birthday won best Web Series/ New Media at LAIFFA (the Los Angeles Independent Film Festival Awards) and I, as first assistant-director, attended the ceremony with a part of the cast and crew. LAIFFA awarded many other filmmakers from all over the world (Spain, Argentina etc.) and contributes to give independent films the exposure they deserve.